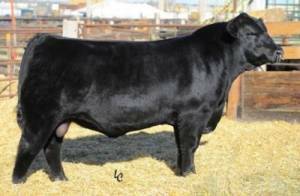 The highlight of the November 2013 SydGen Production Sale, he became the top-selling bull in SydGen history with 2/3 interest and full possession bringing $113,000. Cattlemen from across the country keyed in on this extremely well-made, docile son of Trust, and he has lived up to the expectations. 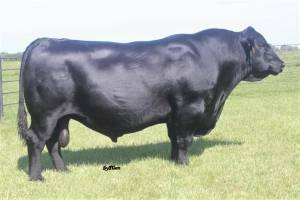 FATE is the kind of “no holes” bull that can make a lasting contribution to the breed, and brings EPD and genomic profiles that will help add value to his progeny for virtually every measurable trait. DAAR Heroine LT 108 is also the dam of the strong $B sire, DAAR Infinity 313, that is the sire of the ORIgen outcross sire SydGen GOOGOL. She has served as a donor for SydGen, Southern Cattle Co., and Double A Angus Ranch. FATE ranks above the top 10% of all non-parents for 12 of the 17 EPDs and bio-economic indexes listed above, and is above the top 25% for 14 of them.